I like to share my work on my blog, and there’s nothing I like to share more than the process of design. 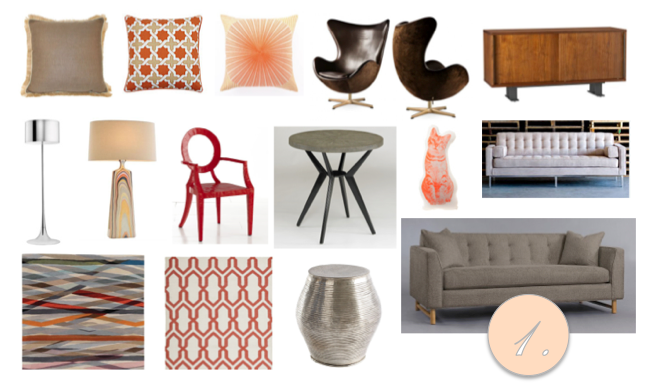 With many – or even most – of my clients, I like to start off with mood boards. 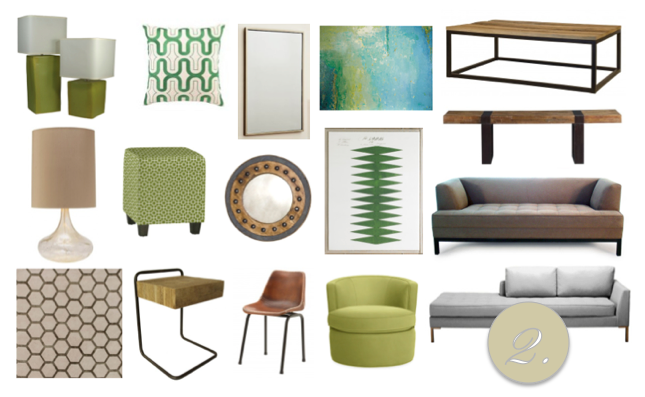 My mood boards are typically the kick-off to a multi-step process, and are usually presented when we’re still getting to know each other. They allow me to get a better handle on my clients’ preferences, and allow my clients to experiment with stepping outside of their comfort zone. 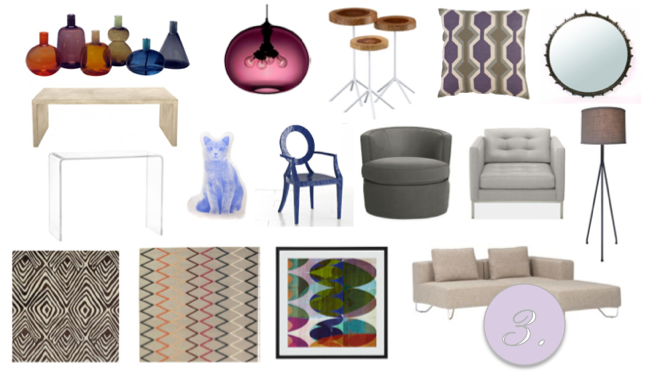 Sometimes people go on to buy lots of items that I’ve featured on a mood board. Sometimes we mix the options up and ultimately create a blend of all of the boards. Sometimes they are in love with a particular item that happens to be in price range that is unfathomable, so we use it for inspiration. This weekend I presented a new set of living room boards to a couple who just purchased a home right outside of the city. I gave them three options, and I’d love to share them with you here. They had a definite, no-contest, absolutely-positively-sure-about-it favorite. Can you guess which one it is? Which one is your favorite? …and is the same as my client’s? ← Color Friday is: Ombre!